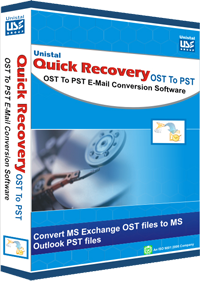 Unistal's Restore is an OS-Application restoration Software. On the event of a Software Crash, it restores the Operating System and application on a single key hit, without demanding any technical knowledge from the user. It reduces downtime as 'No Engineers Waiting' is required. Unistal's Restore is built keeping this in mind. It has options to repair the OS-Applications or at the worst bring it back to original factory settings. This Software rebuilds corrupt applications too. Restore is a solution that works behind the user's control and on issues like, Operating System not loading or blue screen problem, the user gets it back 100%. It restores OS & Applications irrespective of the type of problem/nature of crash. That is the objective behind designing Unistal's Restore. The philosophy behind this Data Care Software is to minimize the downtime of the system. We have observed that maximum type of problems are due to Operating System /Applications failure. The customer needs the fastest solution, but it takes more than a day for the User to get back to work because the Support Engineer takes at least 4-5 hours to reach, then he diagnoses the problem, re-installs the Operating System, applications and does all the settings for the User to get back to work. The best solution for this problem is to build a tool that is very simple and user-friendly for the User himself. OS-Application Restoration on Single Key Hit. Large Disk Support (More than 8.4GB). Repair Registries to Previous Good State. Option to take OS image on CD's. Hard Disk based OS Repair. Rebuild OS to Factory State. Login Password Lost - Solution. Revival, if Partition is Recreated/Formatted.